Mostly sunny. High near 60F. Winds N at 5 to 10 mph.. Partly cloudy skies early will give way to cloudy skies late. Low 42F. Winds WSW at 5 to 10 mph. 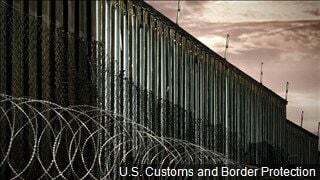 Senate President Scott Sales announced on Wednesday that he will propose a bill asking for $8 million of state funding to go towards the southern border. President Trump has asked for about $5 billion from Congress to build a wall along the U.S.- Mexico border. While lawmakers in Washington are at a total standstill on funding the wall, the Montana Senate President says he’d like to see Montana chip in to pay for President Trump's border wall. "This is just a small token, a small down payment to say to Congress, ‘hey listen, we're very serious about border security here in Montana, it’s affecting our communities in a negative way and we want something done,’” Sales said. Sales says the $8 million will come out of the general fund if it’s appropriated. If this bill does make it through both the House and Senate it will land on Democratic Governor Steve Bullocks desk, where he is likely to veto the bill. Democrats say they want to focus on what is happening here in Montana and this bill is a waste of time.